Sunset Magazine has been a staple in my life for what seems like decades (probably because it has been decades). Granted, I haven't been happy with the inexorable shift away from gardening towards lifestyle topics but I understand the pressures Sunset must be under to adapt and meet the needs of a changing demographic. Call it loyalty or habit, but I still read Sunset every month. 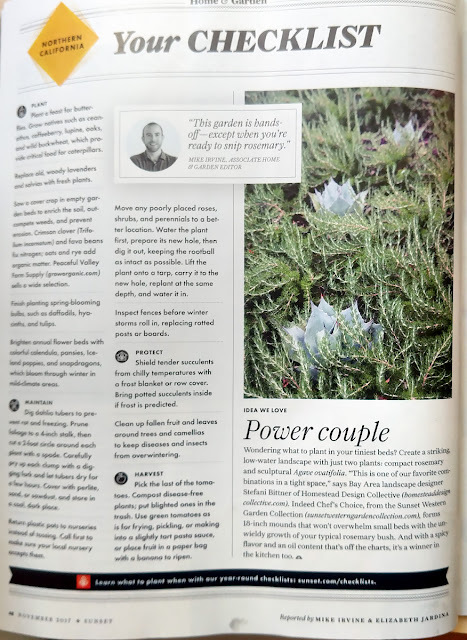 Their garden- and plant-related articles are typically well written and equally well illustrated. Perusing the November 2017 issue, I was excited to see a photo of agaves nestled in a bed of rosemary. 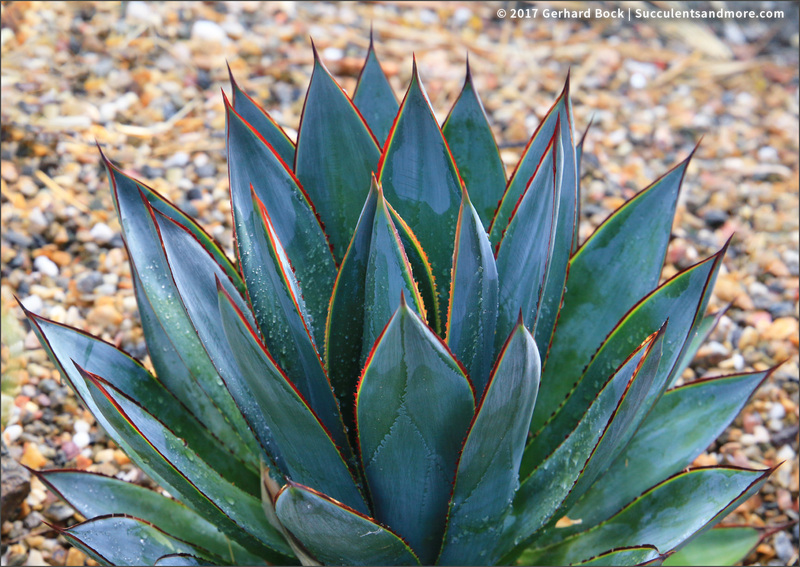 Any blurb about agaves is a good thing in my book—agaves need all the help they can get to raise their profile in the gardening world. As I was reading the short article that goes with the photo, I began to laugh. Because this design idea is for "your tiniest beds" and one of designer Stefani Bittner's "favorite combinations in a tight space." Combining agaves and rosemary sounds like a winning proposition to me. But doesn't it seem funny to worry about the size of the rosemary ("18-inch mounds") when Agave ovatifolia grows up to 5 ft. in height and 6 ft. in width (a fact that is not mentioned)? For a reality check, take a look at Austin garden writer Pam Penick's Agave ovatifolia named Moby here. 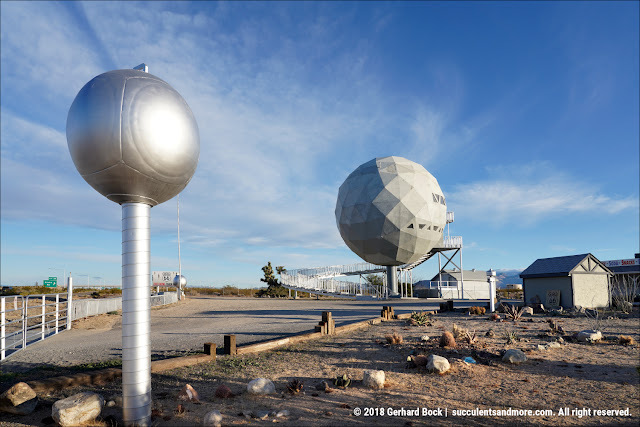 And the planting shown in the Sunset photo features not one, but three of these behemoths! Even I, who likes to cram plants together, wouldn't plant three Agave ovatifolia just a few feet apart. Verdict: Thumbs up for an attractive plant combo that is perfectly suited for our drought-plagued region. Thumbs down for not alerting readers to the ultimate size of this agave and the inevitable space issues that will ensue. While the rosemary won't overwhelm a small bed, Agave ovatfolia definitely will! 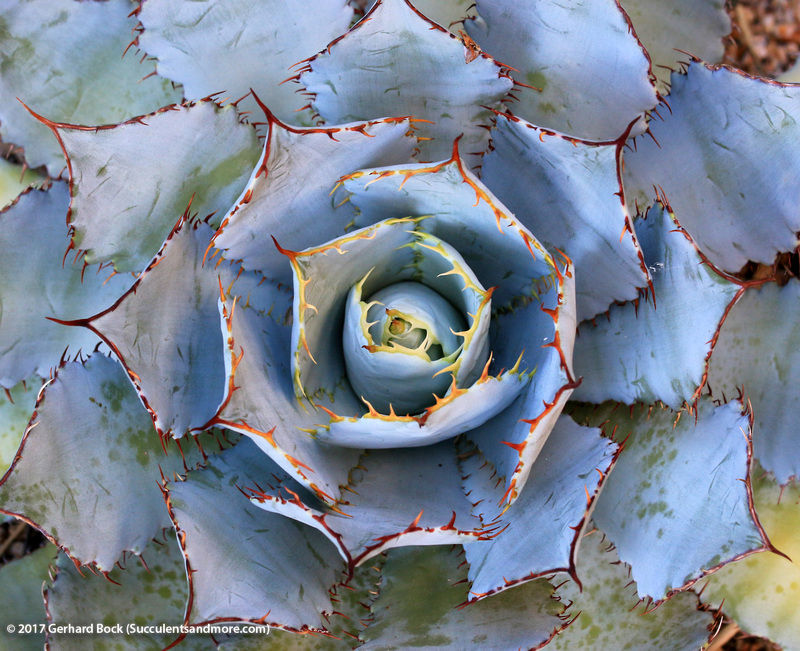 Fix: Use a smaller agave like Agave parrasana, Agave guadalajarana or even Agave 'Blue Glow' instead. Thanks for the morning laugh. I wonder if anyone will follow this planting scheme and end up surprised by the eventual size of Agave ovatifolia. Yikes! I just don't want anybody to come away hating agaves because they took over their small bed! Haha, hopefully no one goes out and buys any old rosemary, or any old Agave, without realizing their ultimate size potential thinking it won't matter! The 'Chef's Choice' they recommend looks to be fairly compact: http://sunsetwesterngardencollection.com/the-collection/plant/chefs-choice. I planted a shrubby rosemary once (can't remember the cultivar name) and it got huge! Ha! Have to admit to reading this article but not really paying attention to the "why" of the planting (small space) just thinking it was pretty and hoping that nobody gashed their arm when running out to snip some rosemary for dinner. Exactly! I want gardeners to look at agaves as beautiful sculptural plants, not lethal hazards. Yikes! Tiniest beds? Those sharp teeth edging the leaves make it a poor choice for a cutting bed. I guess they don't mind having to move them after a few years in a tiny garden. It's fine if this is a temporary planting. But they should mention that :-). If you ever drive down shattuck in downtown Berkeley you’ll get another chuckle. Crammed in the 3’ wide center island are quite a few Agave ovatifolia planted by the City of Berkeley. Max, thanks for the tip! 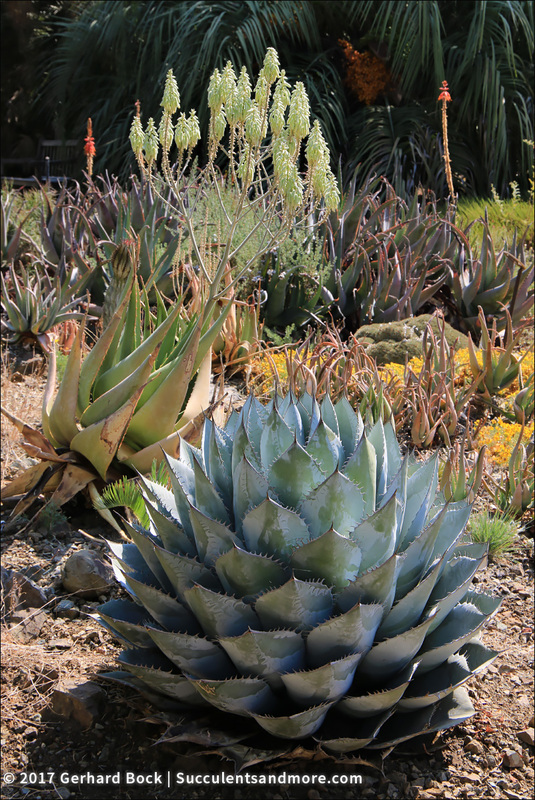 I will definitely look for those Agave ovatifolia the next time I'm in Berkeley! All I could think was that Sunset's definition of "tiny" and mine are 2 fundamentally different things. Yeah, my definition of "tiny" is a little different, too. To me, a tiny bed is MAYBE two feet wide. Or maybe rosemary secretes a substance that retards growth in agaves? Gerhard, I am in complete agreement with you regarding what I consider the downgrade of Sunset magazine. I wonder what the future holds for the Western Garden Book, with a publication that has discarded the average homeowner for an upscale audience. I actually let my subscription lapse for the 1st time in 25 years a couple years ago , but I reactivated it because I felt as though Sunset was so iconic and so key to my gardening education in the 70's I needed to stay the course. 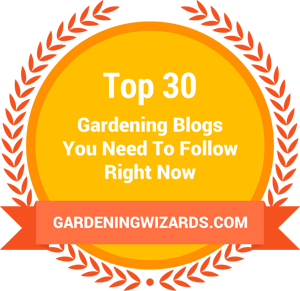 The garden content hs certainly dwindled, but we still have the recipes ! That's really sad. Sunset should know better. Saddest of all to me was the demise of the beautiful Sunset Headquarters in the south bay. A recent visit to the new Sunset “garden” in Sonoma was very disappointing. Thank you for sharing this. I think many folks do not consider them real. Look how they rip their roots off and use them in art. OMG! 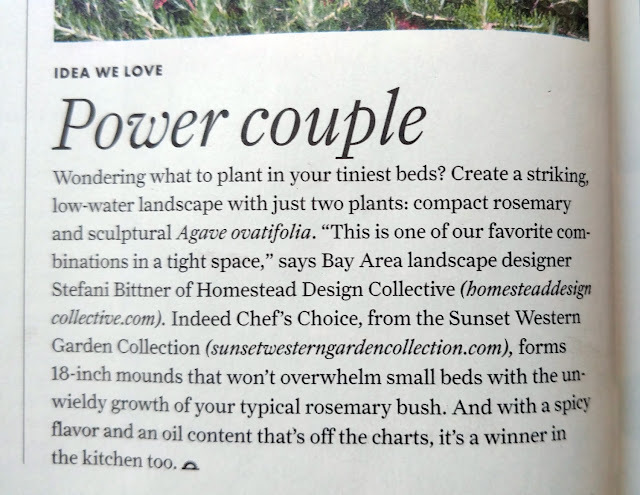 Agree completely Gerhard, the editor was asleep at the wheel on this article, and I'd be suspicious of this designer's plant knowledge as well. All too true about the reduction of horticulture in Sunset Magazine these days, and why I no longer subscribe.